A French female minister was jeered while addressing parliament by right-wing lawmakers who heckled her because of the dress she was wearing. Later they explained it was not catcalling, but admiration of a beautiful woman. 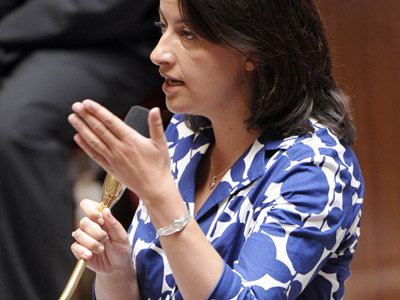 Surprisingly, the long sleeve, floral white and blue, knee-length dress worn by Cecile Duflot became a source of amusement for rightwing deputies. MPs started whistling and heckling the Housing Minister Cecile Duflot as she walked down the aisle to the center of the assembly to deliver a speech about a new metropolitan plan for the Paris region. Centrist MP Jean-Christophe Fromantin was forced to mildly reprimand MPs and allow Duflot to address the house. However, the Housing Minister kept her cool and began her speech with a witty greeting. "Ladies and gentlemen, but mostly gentlemen, obviously …," Duflot began her address. Afterwards, lawmakers tried to spin the incident, saying they were delighted with the beautiful woman’s appearance. It is not unusual for female MPs to complain about harassment from male politicians. “Everyday machismo” in France's National Assembly has gotten so bad that Chantal Jouanno, the sports minister and a former French Karate champion, said last year that she couldno longer turn up to parliament in a skirt without being catcalled. 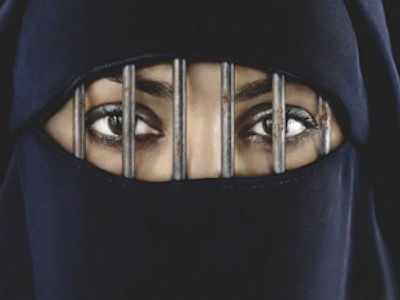 Another Socialist MP for Paris, Sandrine Mazetier, once turned up to a parliamentary commission in tight-fitting clothes, but was jeered by a male MP, who said: "Dressed like that, don't be surprised if you get raped." As for Cécile Duflot, it was not the first time when her outfit has come under fire.She also attracted plenty of comments when she turned up to her first Council of Ministers wearing a pair of jeans. And the problem of women’s attires being a target for biting comments from male MPs did not come with new power. In 1972 when then cabinet advisor Michèle Alliot-Marie appeared at the Assemblée Nationale in trousers, she was apprehended by the guard at the door. “If my trousers offend you, I’ll take them off at once,” she replied.